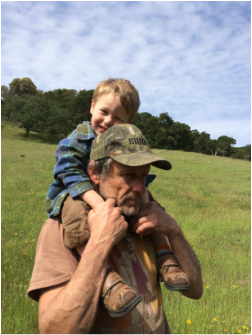 Geoff Wolf has operated as a landscaper in the Marin County area for over 20 years and is a Marin County native (since 1966). He has cultivated many long term loyal customers because of his friendly service and easy-to-talk-to style. He is always happy to explain the concepts and techniques of his work, and is committed to making sure you come out a satisfied client no matter how simple or complicated the job. Continuing his education in Sustainable Landscaping courses at Berkeley Extension and at other industry conferences keeps him abreast of new developments in his field. We think that gives him the creative and technological edge compared to what other companies usually offer. He has taken a particular interest and developed a visual palette using California Native plants to enhance gardens with landscaping that attracts more life to the garden while making it water and user friendly.